Turkey Breast, Water, Contains less than one and one half percent of salt, sugar, sodium phosphate and dextrose. Coated with Dextrose, Salt, Honey Solids (Refinery Syrup, Honey), Paprika, Spices, Onion, Natural Flavors, Extractives of Paprika and Turmeric. 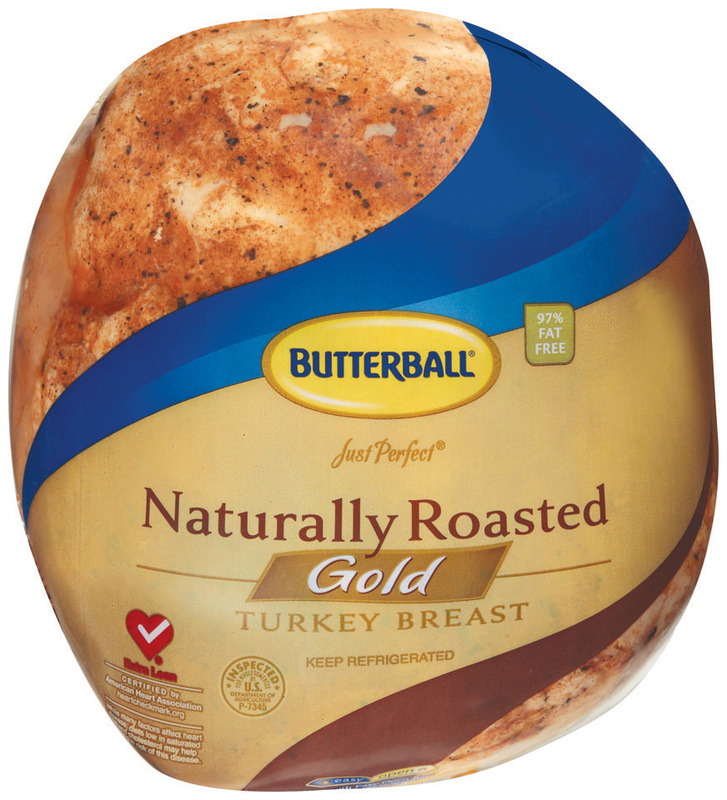 If you’re serving “the Cadillac” of sandwiches, choose Butterball Naturally Roasted Gold Turkey. Roasted Gold is hand-formed, pan shaped, clean-label, lightly seasoned, whole muscle breast — no wonder it sets the standard for exceptional taste. Turkey has always been the natural choice for a family feast, but it’s also the savory favorite for lunches everywhere. Give your customers the very best, with Roasted Gold. Made from only fresh breast meat for superior flavor and maximum customer satisfaction. This clean label product contains no additives or extenders for superior texture. Product is whole muscle to deliver superior texture; perfect for center of the plate applications. The product is pan roasted for a natural appearance; perfect for carving stations or gourmet sandwiches. ABOUT SAMPLING OUR Just Perfect Handcrafted Naturally Roasted Gold Turkey Breast.